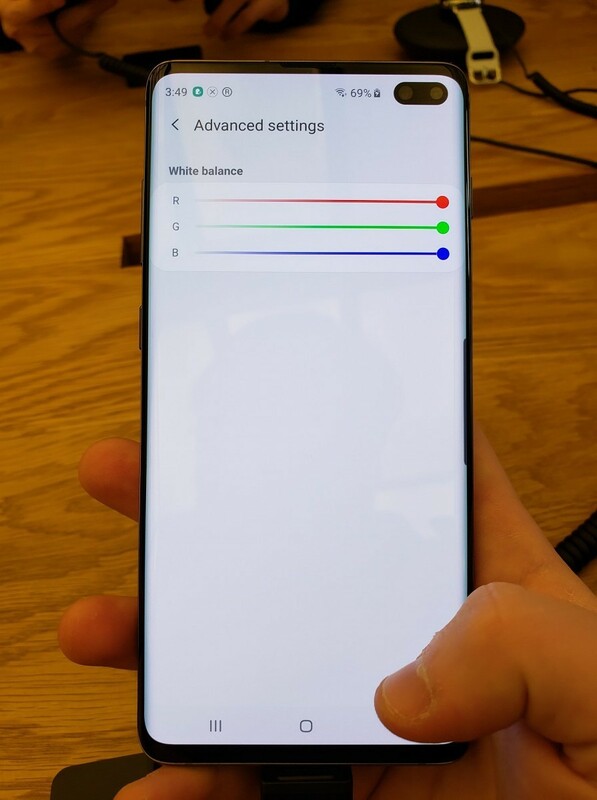 Bixby Button Remapping, Digital Wellbeing, Missing Hard Press Home Button, and more Samsung Galaxy S10 software changes! With how much new hardware Samsung unveiled at Unpacked, it’s easy to get lost in all the announcements. 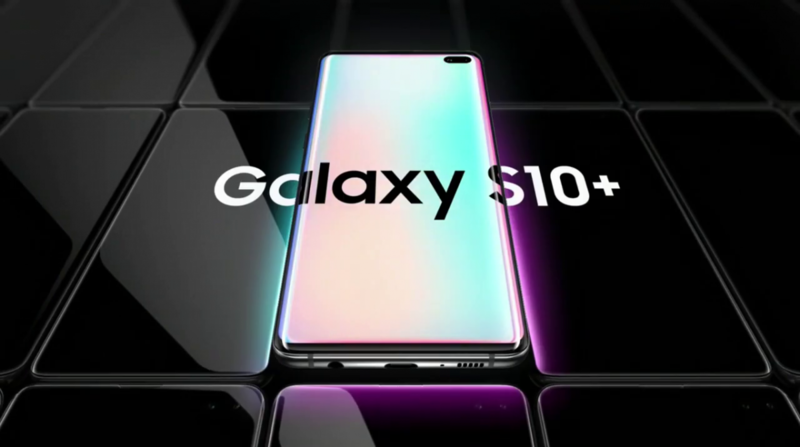 There’s the Samsung Galaxy Fold, Galaxy Buds, Galaxy Watch Active, Galaxy Fit, Galaxy S10, Galaxy S10e, Galaxy S10+, and 5G Galaxy S10+. We tried our best to consolidate all the news about these new devices, but there will always be new features that don’t get center stage during the keynote. That’s especially true with the new changes in One UI, Samsung’s modified flavor of Android 9 Pie, on the Samsung Galaxy S10. One UI was announced months back at Samsung Developer Conference and has rolled out to the Galaxy S8, Galaxy Note 8, Galaxy S9, and Galaxy Note 9, so it’s not new in the minds of Samsung fans. 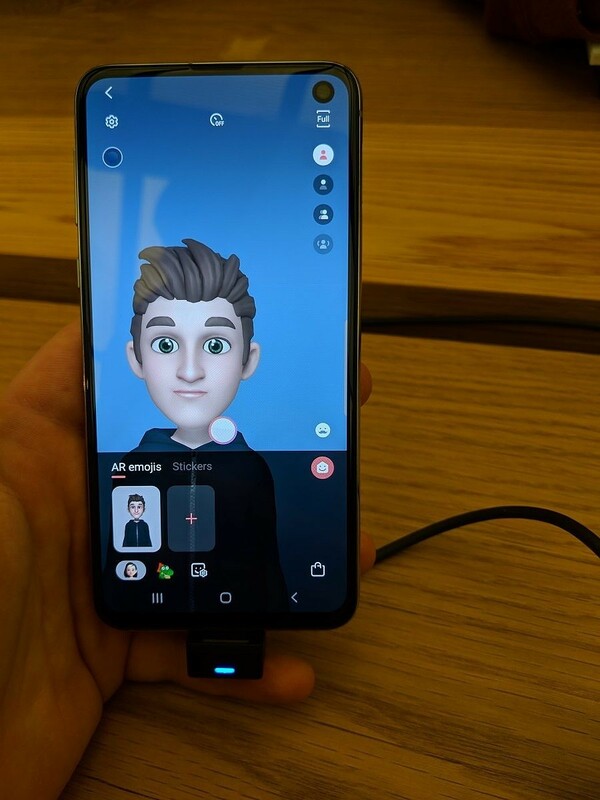 I attended the public Samsung 837 event in New York where I got to spend some time with the Galaxy S10 series. During my short time using the device, I noticed a handful of changes to One UI that are worth mentioning. 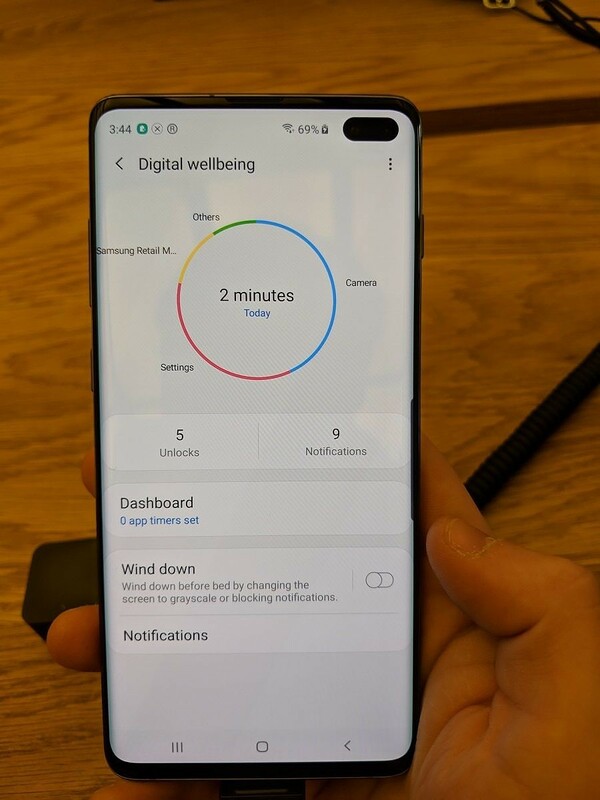 While using the Samsung Galaxy S10, the first thing I noticed while looking through the device settings was the inclusion of Digital Wellbeing. Digital Wellbeing helps you track your app and screen usage and helps you manage how long you use your device. Digital Wellbeing debuted on the Google Pixel smartphones with the Android Pie release, but also made its way over to Android One devices running Android Pie. 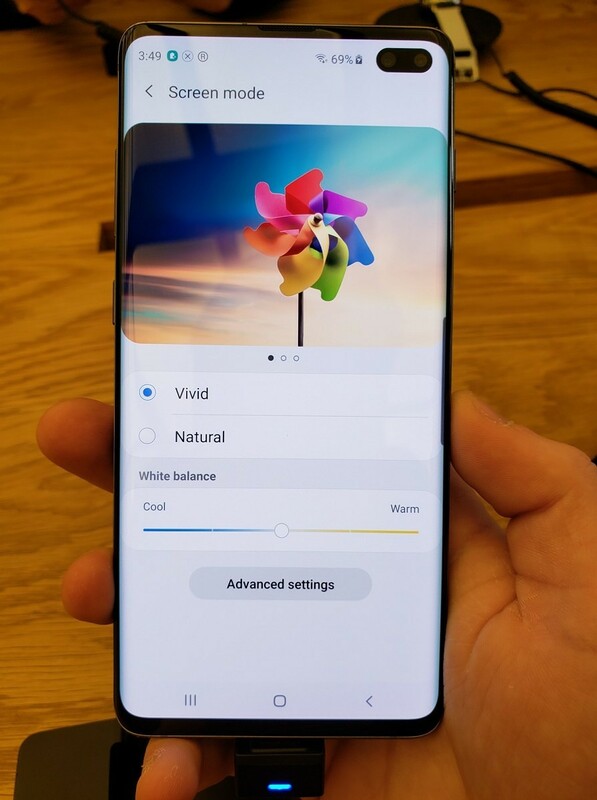 Samsung has now implemented the feature in One UI, which came as a surprise to us since it isn’t present on the Galaxy Note 9 or other Samsung devices. 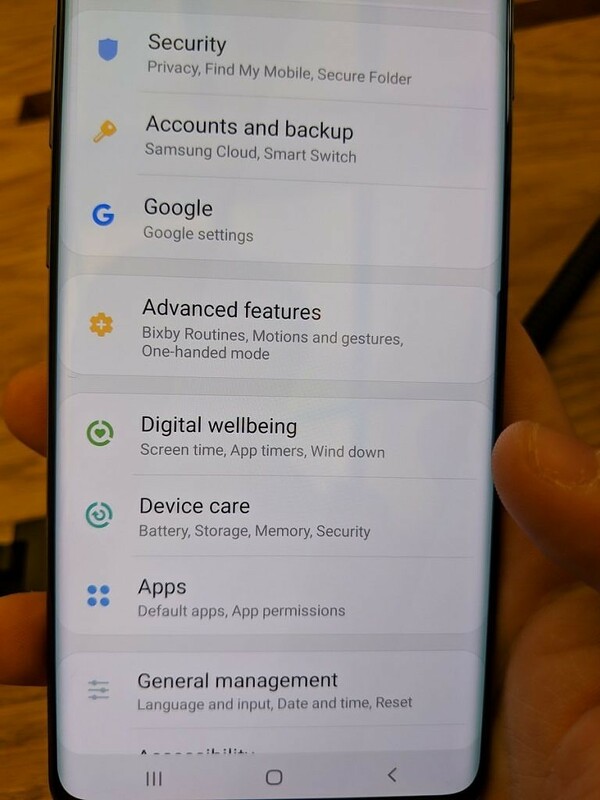 Update: We initially reported that Samsung included Google’s Digital Wellbeing, however, it turns out that’s not the case. After inspecting the APK, it appears to have been made by Samsung. Samsung’s version looks and feels similar to Google’s, so we assumed they were the same APK. 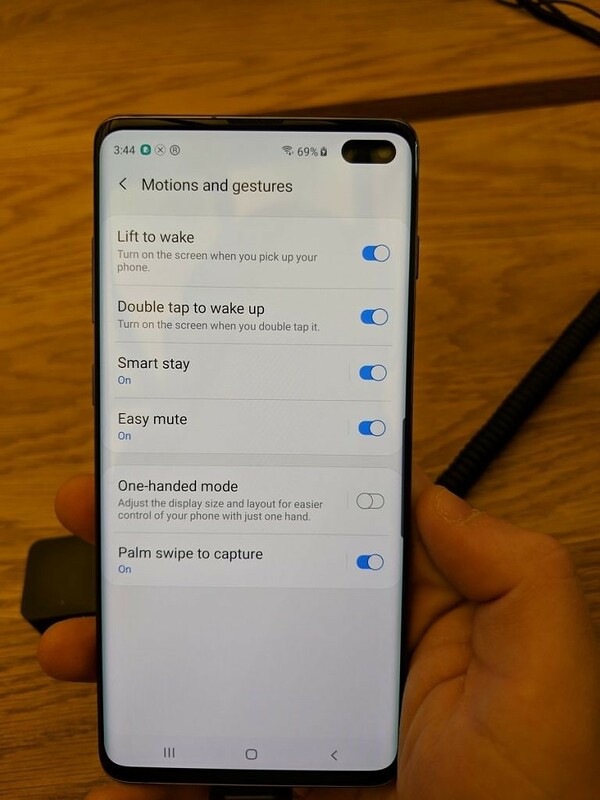 The next new software feature I noticed while using the Samsung Galaxy S10 was double tap to wake. The current builds of One UI for the Samsung Galaxy Note 9 has the option for raise to wake, but now double tap to wake offers another way to quickly turn on your device. This is an extremely popular setting in the Android community and Samsung is finally adding it. 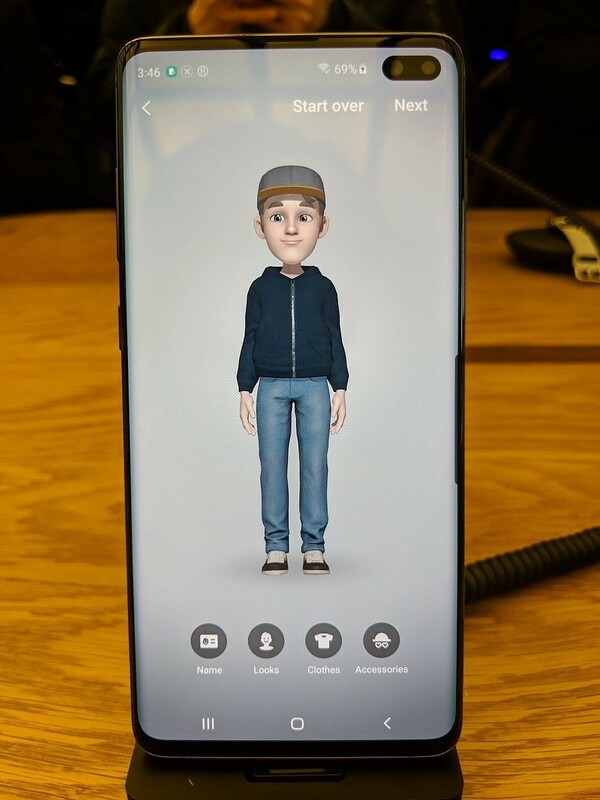 The next change is the much improved AR Emojis, at least when compared to the AR Emojis on the Galaxy S9 and Galaxy Note 9. 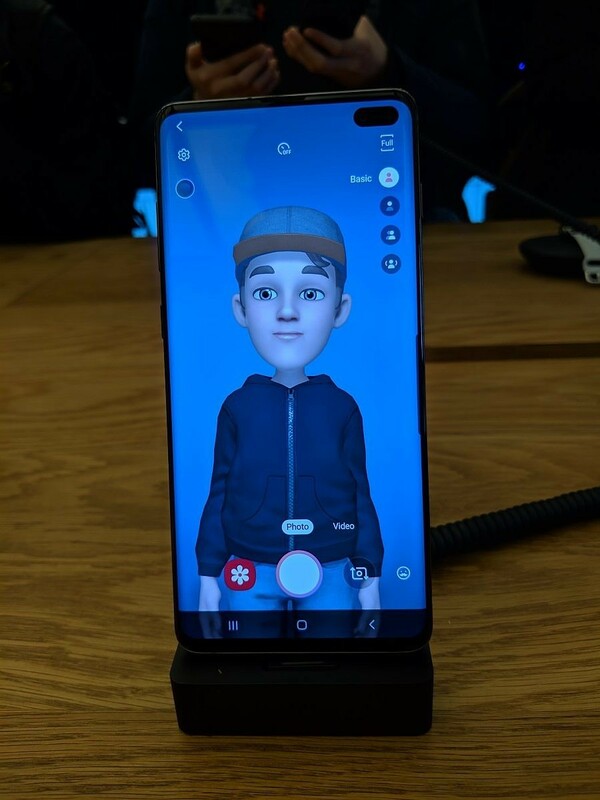 The AR Emojis on the Samsung Galaxy S10 are more animated and, frankly, less creepy than the previous version. 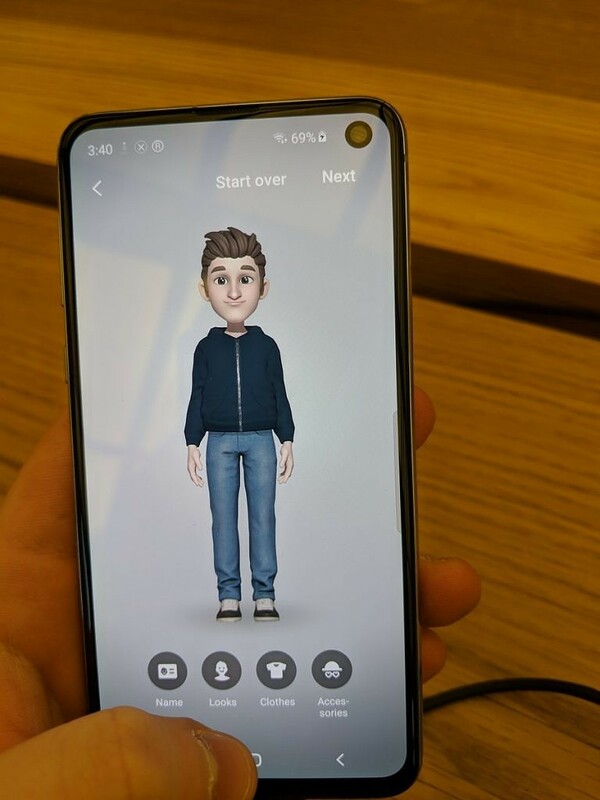 These also have full body tracking which uses Google ARCore, but I wasn’t able to test this due to a lack of ARCore on the demo units. The upgraded face tracking, in my experience, is not any better than it was before. 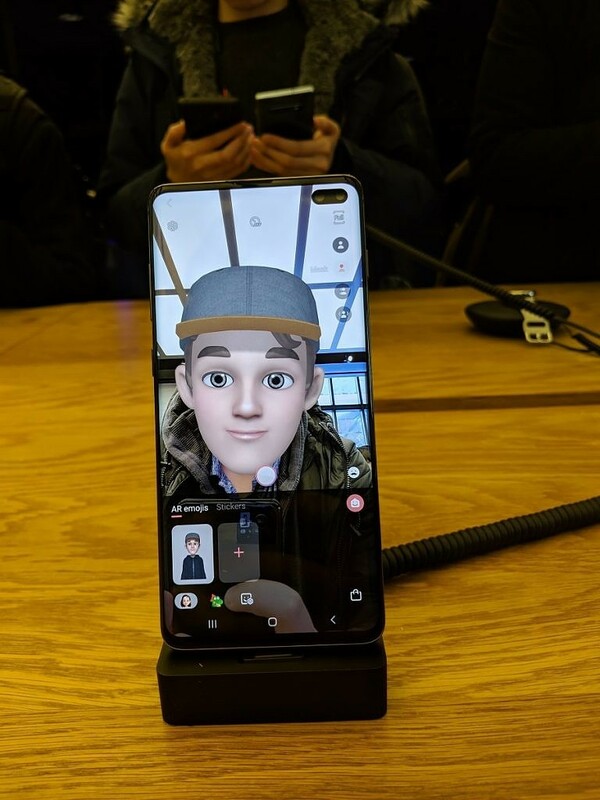 Samsung also cloned one of the new iPhone XS features which allows for the AR Emoji head layered on top of your face to be a virtual face. There is also a new mini-me mode where it puts a little AR Emoji on your shoulder. 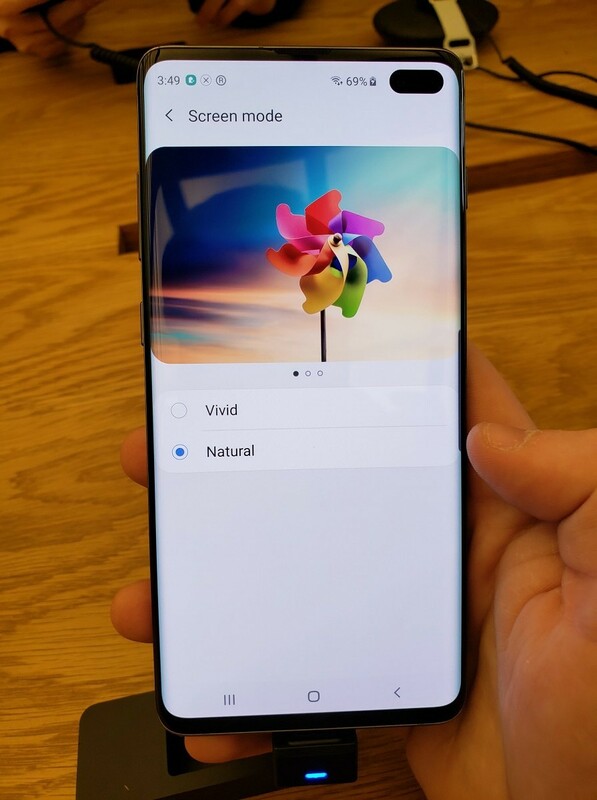 While using the demo device and speaking to someone else who has the Galaxy S10, it seems that Samsung removed the popular hard press home button feature. This feature placed a pressure-sensitive home button on the bottom part of the screen that let you access the home button even if the navigation bar was hidden. It debuted on the Samsung Galaxy S8 and was one of the smallest but also useful features Samsung devices have had for the past few years. The removal of the feature is likely due to the ultrasonic under-display fingerprint scanner, but that doesn’t explain the lack of the feature on the Samsung Galaxy S10e. 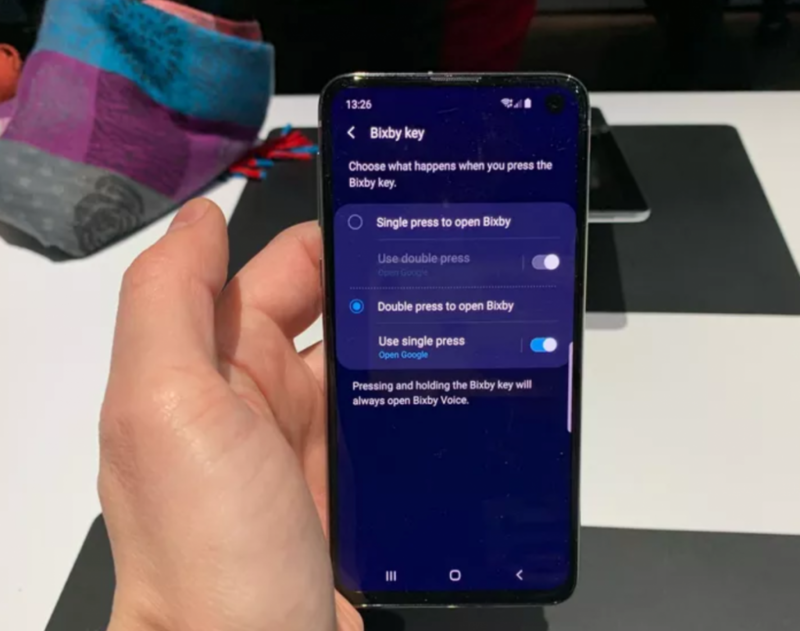 Thanks to Samsung for actually listening to consumers, the Bixby button is finally remappable without needing a third-party app. It can be remapped to a bunch of different features like opening apps or the camera. While I didn’t have a chance to check the specific features, The Verge reports that you can actually use it to open Google Assistant. Samsung has changed this from a Bixby button to more of a utility button. Samsung made the bezels so thin and so small, they had to remove some hardware features, which unfortunately includes the notification LED. 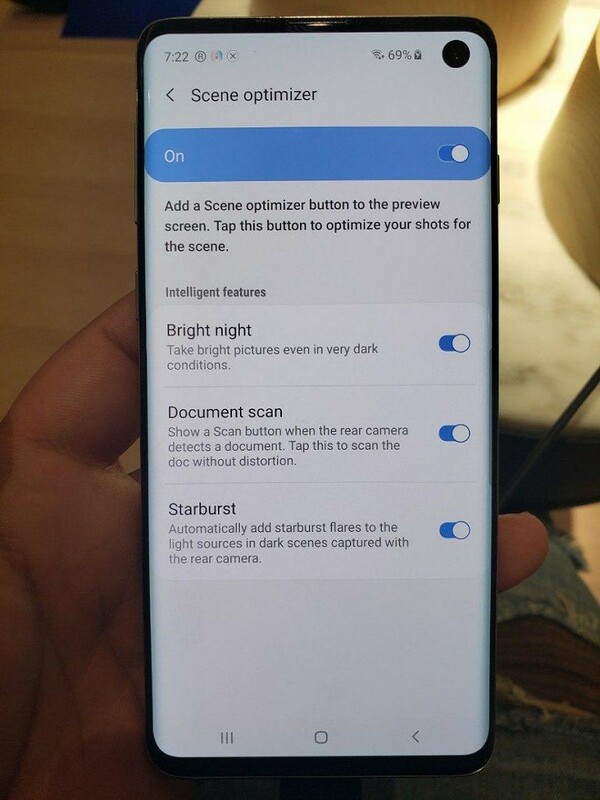 According to a member of the SamCentral Discord server who already has the Samsung Galaxy S10+, the notification LED is replaced by a ring of light around the camera cutout. This ring of light will change colors and light depending on the notifications. The front camera will also show a white ring around it while the camera is in use. 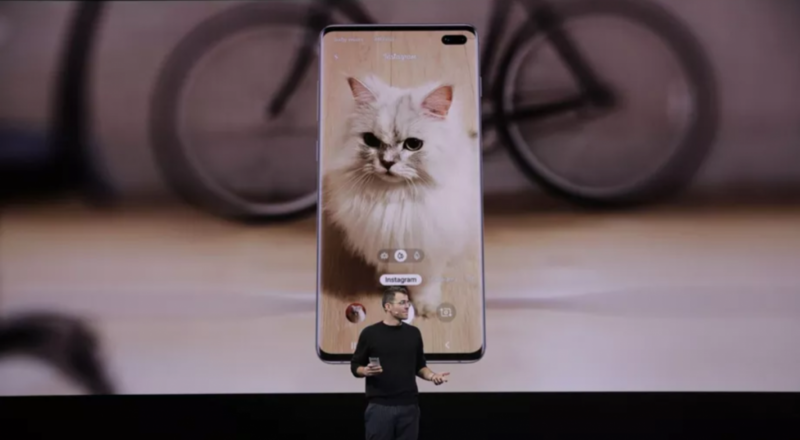 This is a neat privacy feature that reminds me of Android Q.
Samsung has worked with Instagram, Snapchat, and other social media companies to improve picture quality in their apps. Android devices have long been known to produce horrible picture quality in social media apps due to the apps not taking advantage of the Camera2 API, and instead taking screenshots of the viewfinder. Samsung is following after Google and worked with app developers to make their camera SDK open source. This means that Instagram, Snapchat, Snow, and Lime will all use this new SDK. Instagram has a special integration with the Samsung Galaxy S10s. The camera app will be getting a specific camera mode for Instagram. This mode will let you take pictures in Samsung’s camera app and send them straight to Instagram stories. Just switch to the camera mode and take a picture. As we reported way before the launch of the Galaxy S10, Samsung is introducing a Bright Night camera mode for low-light photography with the devices. Bright Night is part of the updated scene optimizer mode. Bright Night seems to work similarly to Google’s Night Sight, though we haven’t had a chance to compare the two yet. Document scan will automatically add a button to scan documents for sharing. Starburst, which is a new mode, will “automatically add starbust flares to the light sources in dark scenes captured with the rear camera.” These settings can each be disabled if you don’t want to use them. The Vivid and Natural screen modes are new versions of their color modes. Samsung phones used to have Adaptive Display, AMOLED Cinema, AMOLED Photo, and Basic modes. These new modes are for the Galaxy S10’s new Dynamic AMOLED display. All these new One UI features are nice to see. We don’t know if Samsung will bring any of these features to older devices running One UI. Given Samsung’s past track record, the company will most likely release these features on the Galaxy S9 and Galaxy Note 9 with a future update. We should hear more from Samsung over the next few days about these amazing new features. We’ll also look for other new features we might have missed on the Samsung Galaxy S10. Meanwhile, be sure to check out our hands-on of the devices or grab the new wallpapers to spruce up your device while you wait for the Galaxy S10 to ship.